As a business owner, it is important to set up your business to accept multiple forms of payment. In modern times, people are paying online in increasing numbers. There are plenty of ways to get paid online, and there are different requirements for each method. Just as your brick and mortar business needed to adapt and start accepting credit cards, now you need to grow and adapt to the age of online shopping. In this article, we will discuss these methods and what you have to do to accept payment online. Setting up a merchant account is one of the most important steps to accepting online payment. Once you set up a merchant account you will be able to accept online payment from many sources; most importantly, credit and debit cards. To open a merchant account, you must meet certain qualifications. You will have to meet with an institution to be evaluated. You can improve your chances up getting qualified by having a positive credit score. Dishonesty will disqualify you, so be open about your past financial dealings. Once you set up a merchant account, you will be well on your way to expanding your online payment options for business. Online payment processing companies are another way to accept payment online once business on Main Street starts to peter out. Payment processing companies offer a one shop stop for various forms of online payment. After you install the software and hardware, you let the company handle the payments. This may be an enticing option if you do not qualify for a merchant account. 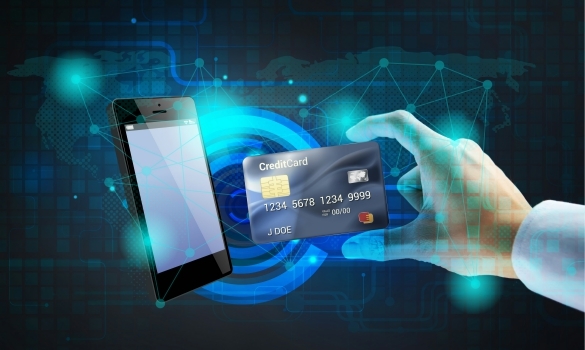 The major factor to consider with online payment processors is the transaction fees. These companies take monthly payment or a percentage of each transaction. They may be a great option if you have the budget for it. Email invoicing is a flexible online payment method. As a business owner, getting paid for your work and product is critical. Email invoicing sends the customer or client an invoice for services rendered or products bought. The client then chooses how they would like to pay the invoice. You can set up payment through credit card, PayPal, or bank transfer. Email invoicing makes it easier to keep track of payments and request payment non intrusively. If you business environment is fast paced, email invoicing may be for you. Scheduled recurring billing is a lifesaver if you have repeat customers and clients. By setting up a recurring billing schedule, your customer or client receives a bill at intervals of your choice. This is usually a feature offered by payment processing companies as well as other software. Scheduled billing is convenient and helps you save time by eliminating the need to send invoices manually. It also offers steady cash flow, because your customers pay on schedule. This form of online payment acceptance typically comes with a small monthly fee, upwards of $10 a month. For those that have it in the budget, this may be the best option to make sure your business gets paid. Cryptocurrency is a newer form of payment that you should consider for your business before you ever worry about getting tradesman software to improve profits. Due to the bitcoin boom of 2018, cryptocurrencies are becoming more and more attractive for businesses and investors. If you want to accept cryptocurrency as payment, you need to pick a payment processing provider and open a cryptocurrency account. You also need to pick which cryptocurrency your business will accept as payment. You are now ready to accept cryptocurrency as payment. Note that with cryptocurrency you can choose to store the currency in a digital coin wallet or have it automatically converted into your bank account. These are all advantages you should capitalize on by supporting cryptocurrency purchases, if you are able to. Handling online payment acceptance can be confusing and frustrating to deal with. However, the future of payment is digital. If you adapt and take advantage of this trend, your business will flourish and grow. Consider the many different ways to accept payment online for your business. Once you choose one of these above online payment methods, your ecommerce success is sure to please.